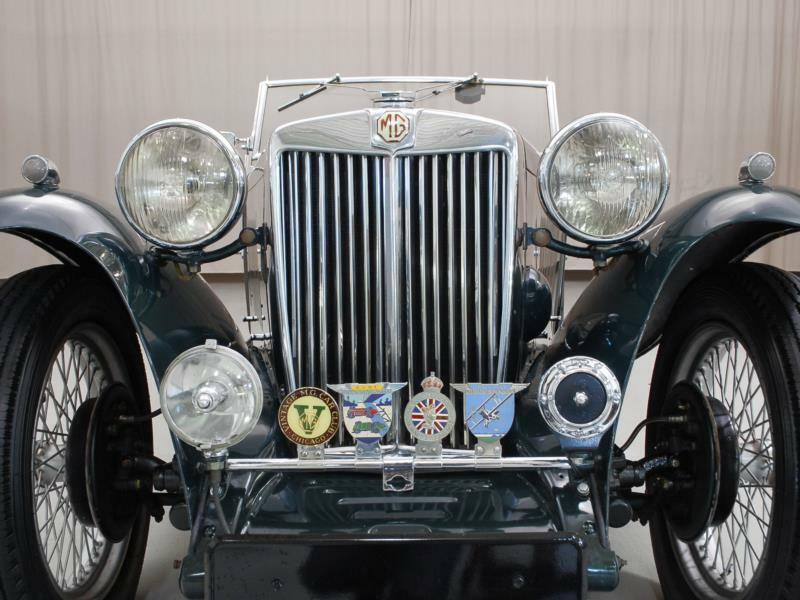 The MG TC burbled into the American consciousness in 1945 as American servicemen returned home from World War II’s European theater. 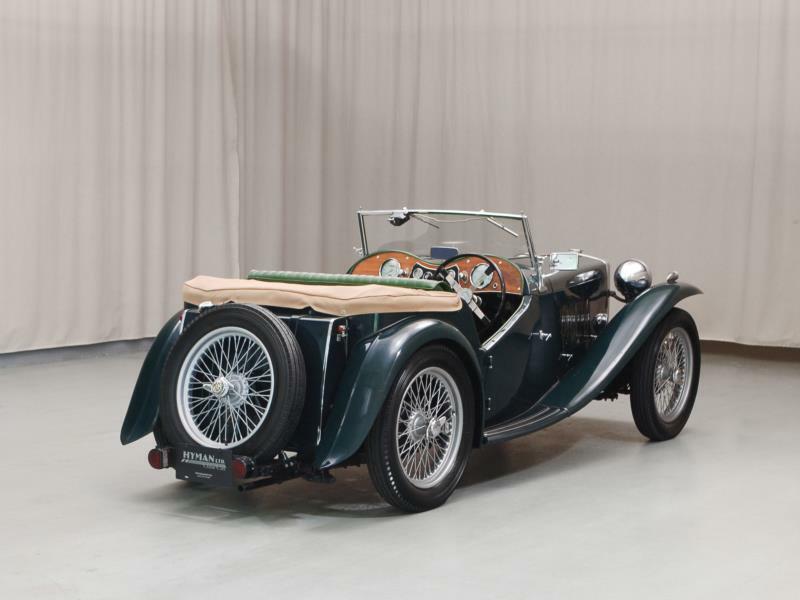 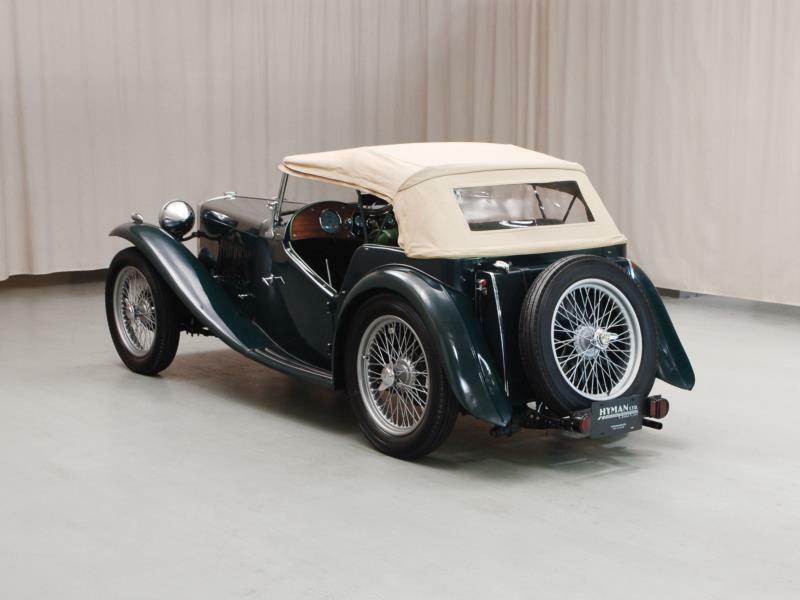 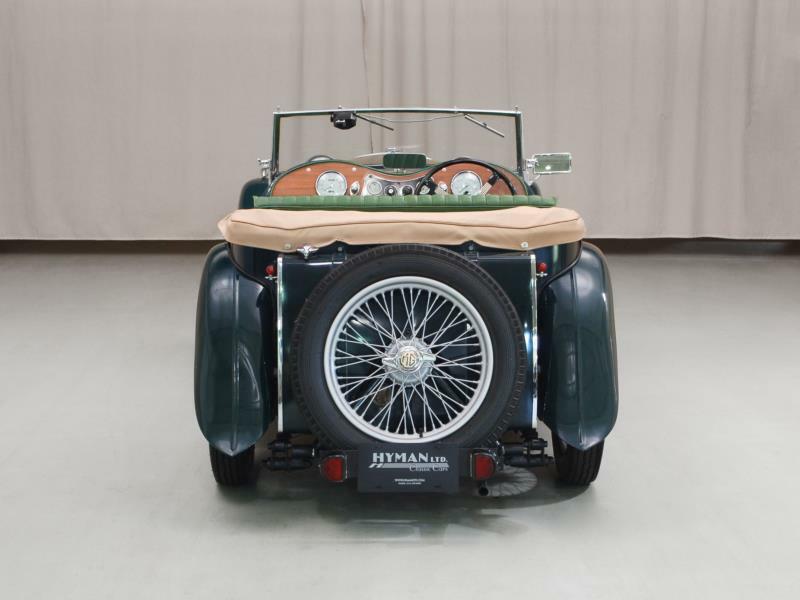 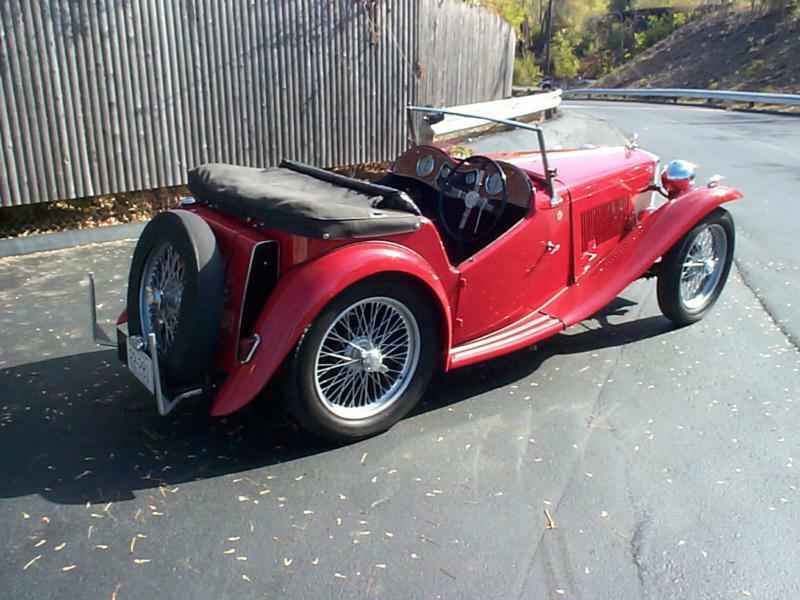 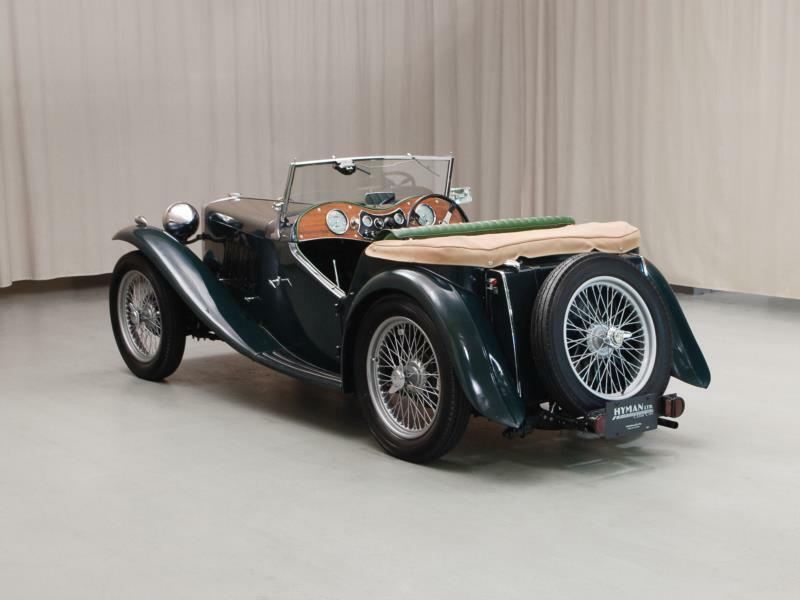 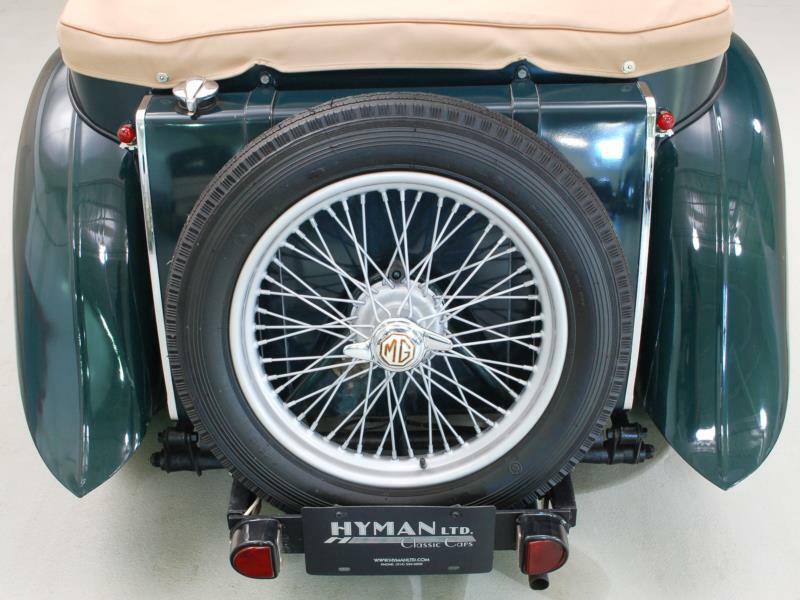 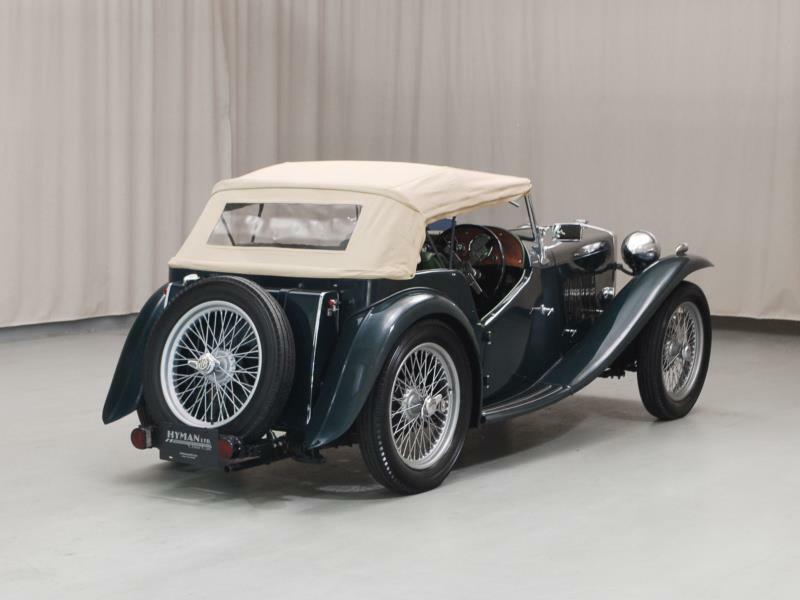 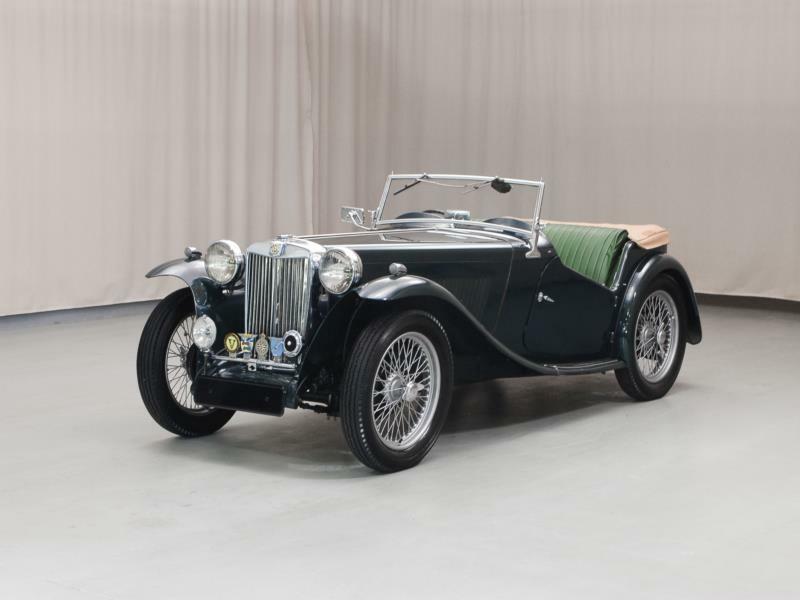 The car itself, however was a further step along MG’s evolutionary path, neither new nor revolutionary in its homeland. 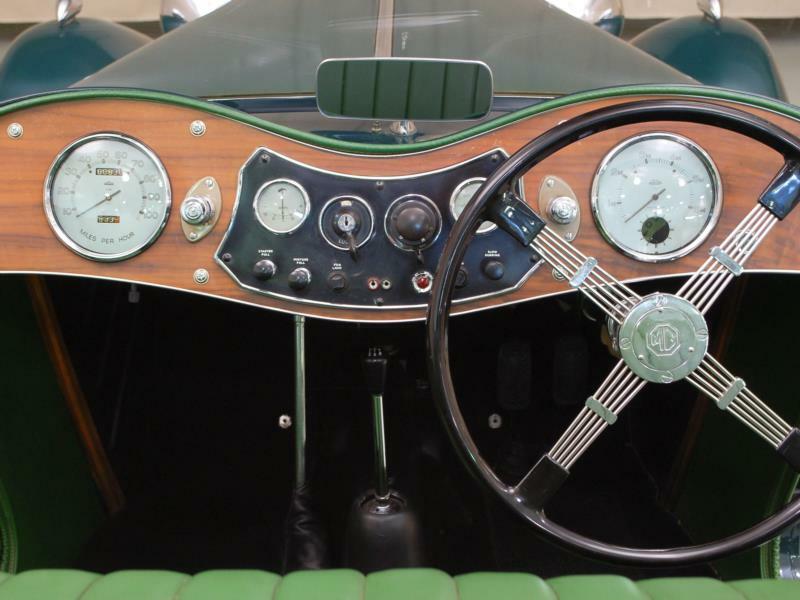 The TC was the third T-Series variation, following the TA of 1936, and short-lived TB of 1939. 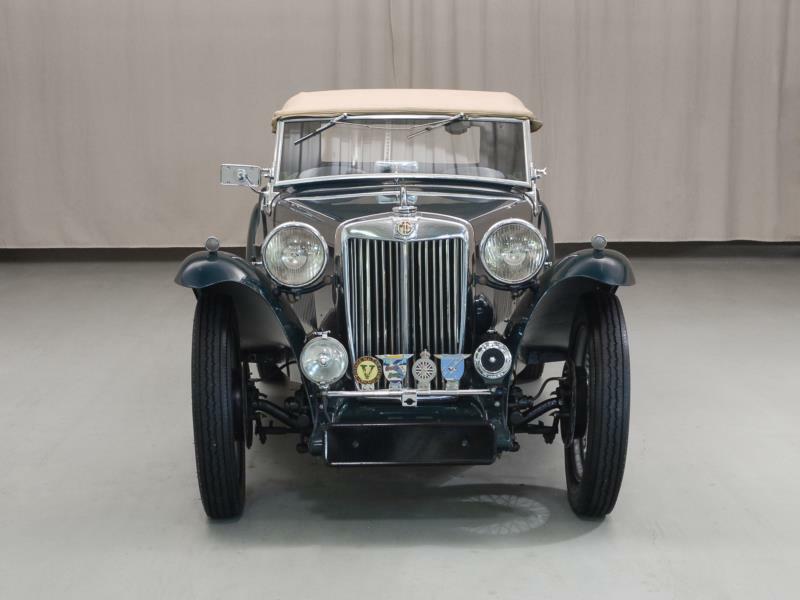 The TC body was four inches wider than its predecessors, and it was faster than the TA and TB as well, but the car had the same fold-down windshield, flowing fenders, 19-inch wire wheels, slab gas tank and rear-mounted spare. 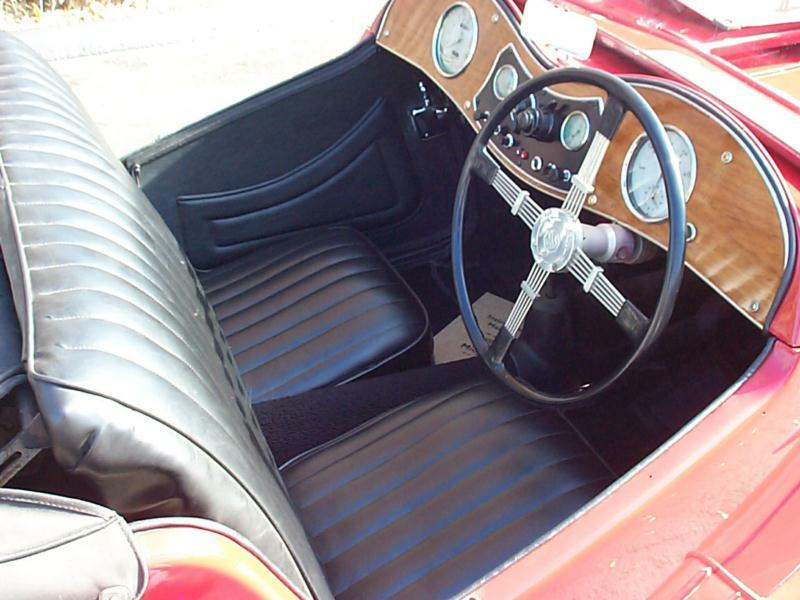 It was also only available in right-hand drive. 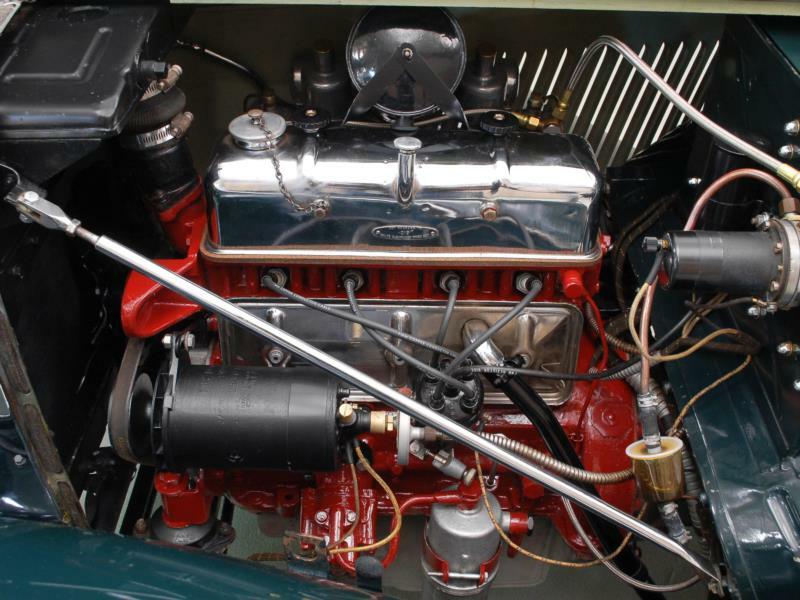 The XPAG inline-four engine displaced 1,250 cc, and was upgraded with rubber mounts. 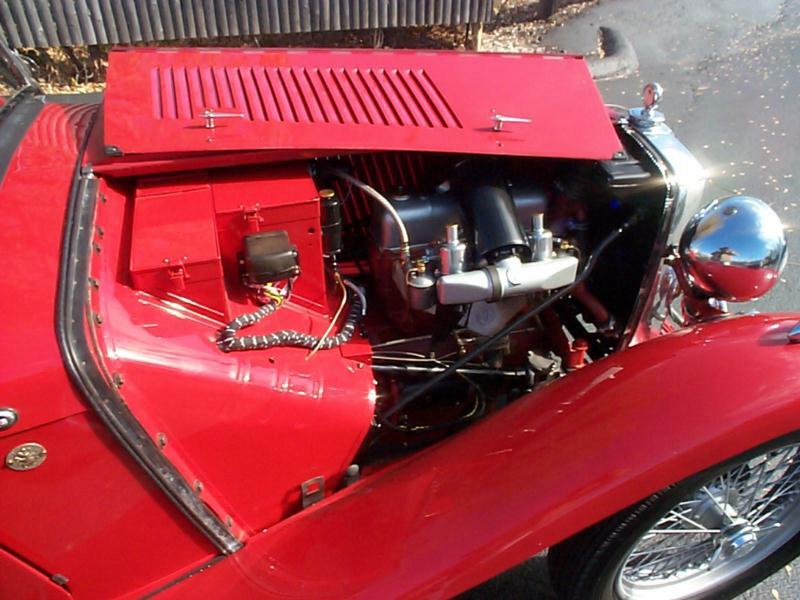 The powerplant was able to push the TC to a top speed of about 75 mph, which was well suited for the car’s suspension and drum brakes. 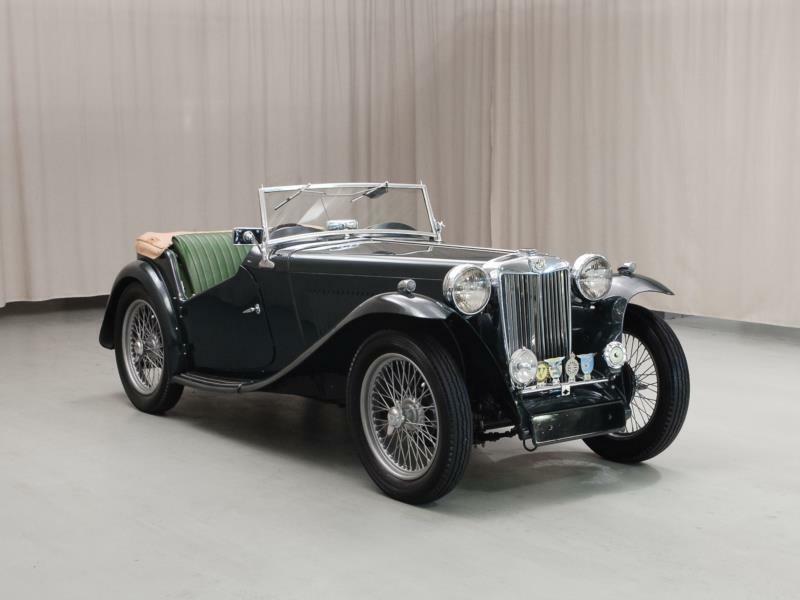 MG cranked out 81 new TCs in 1945, when materials (and everything else, for that matter) was in short supply, then another 1,600 in 1946, and finally 3,000 in 1948. 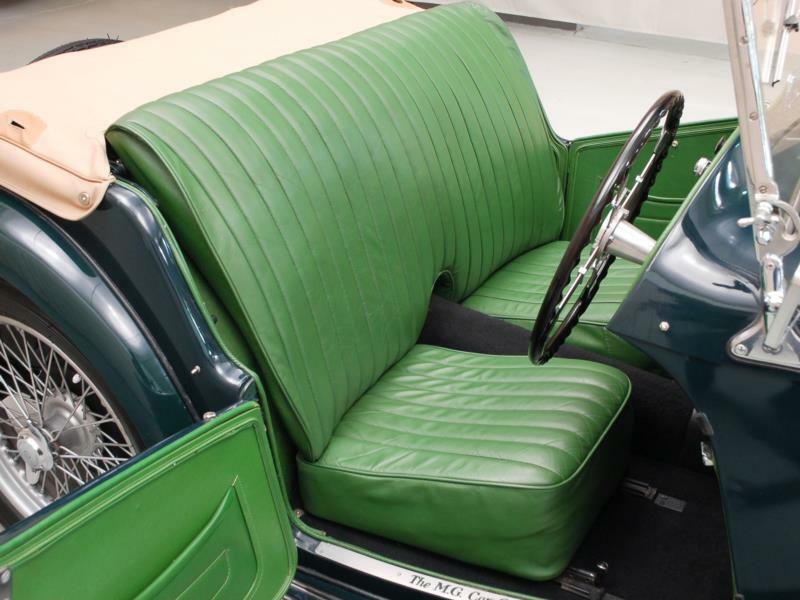 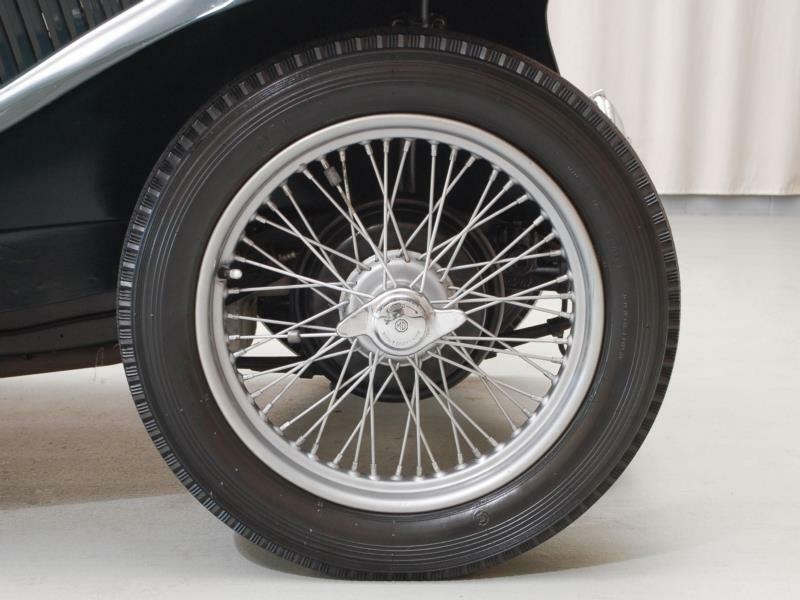 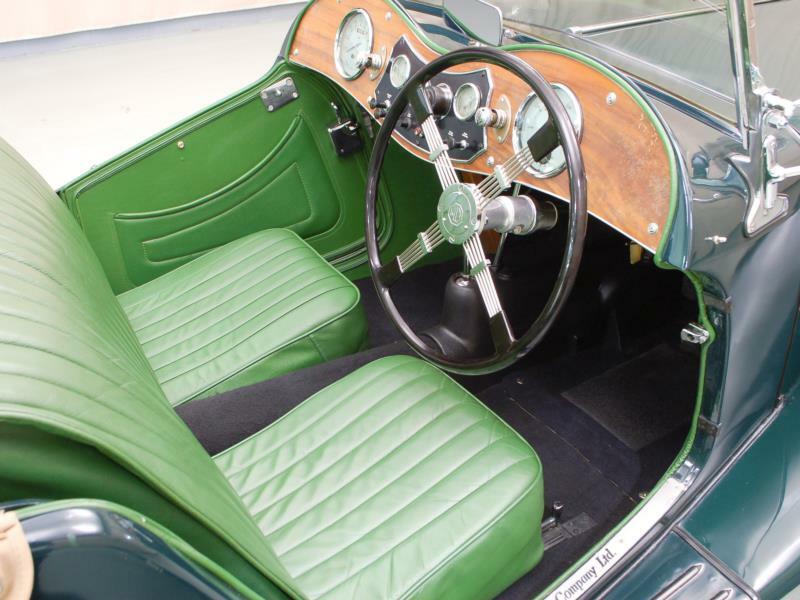 In all, 10,000 were made until the model was discontinued in 1949. 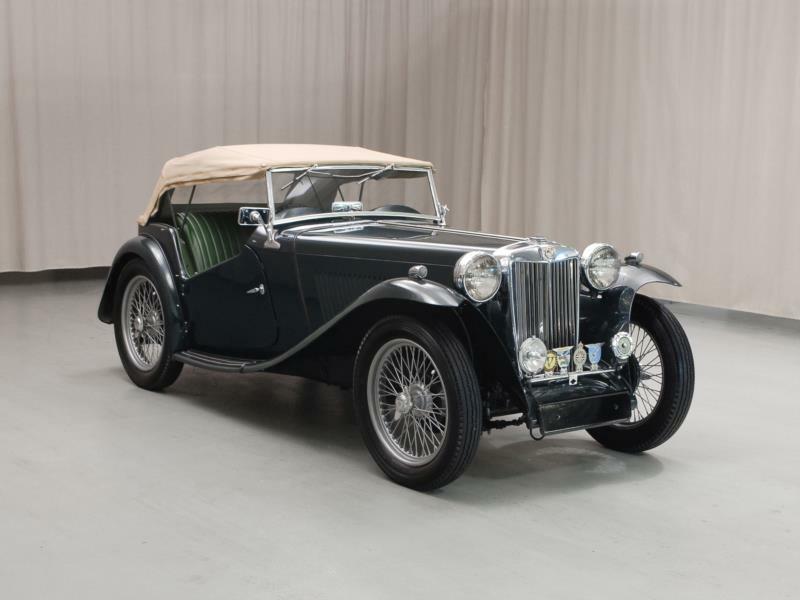 South Africa and Australia bought quite a few, but the big surprise was America, where 2,000 were sold and about 1,500 others were imported privately. 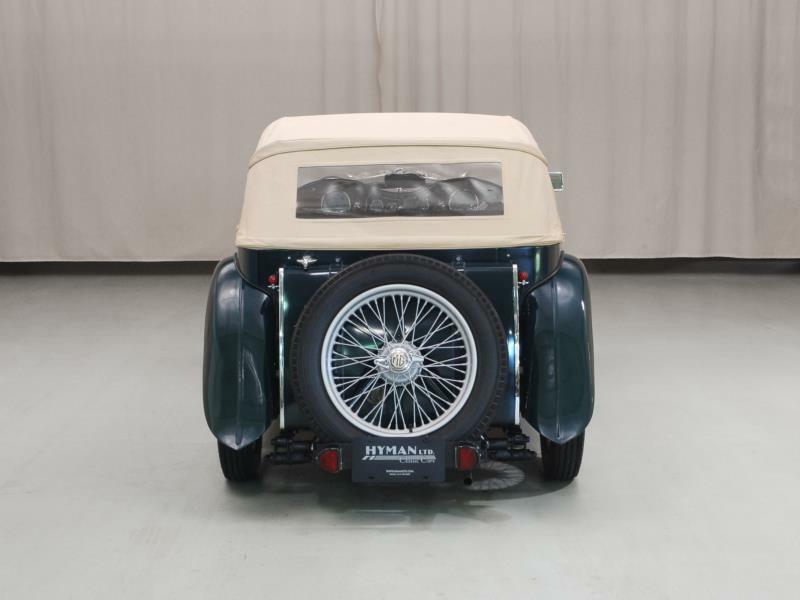 There was even a North American model, still RHD, but with turn signal flashers and vertical chrome bumpers. 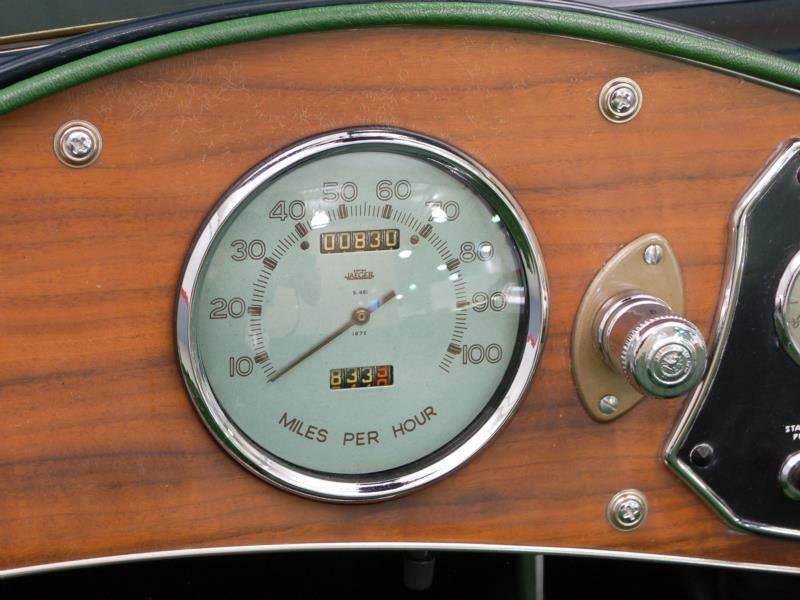 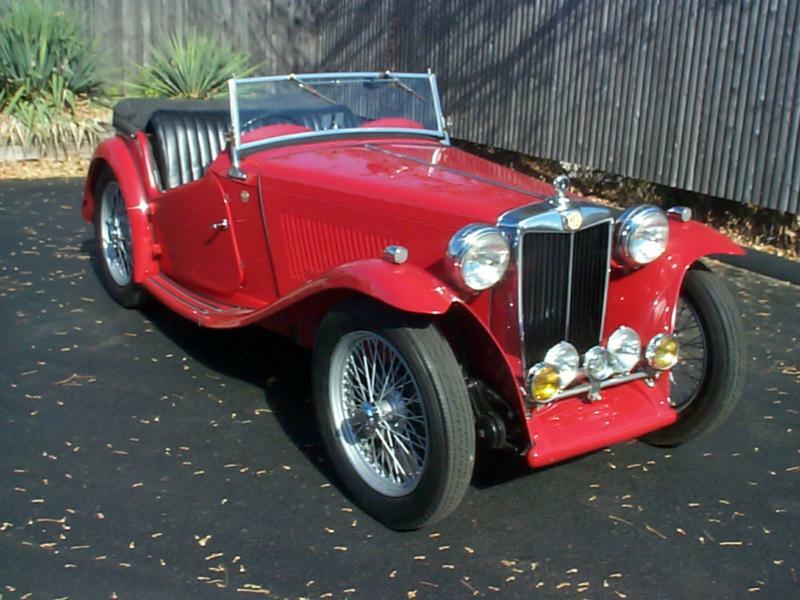 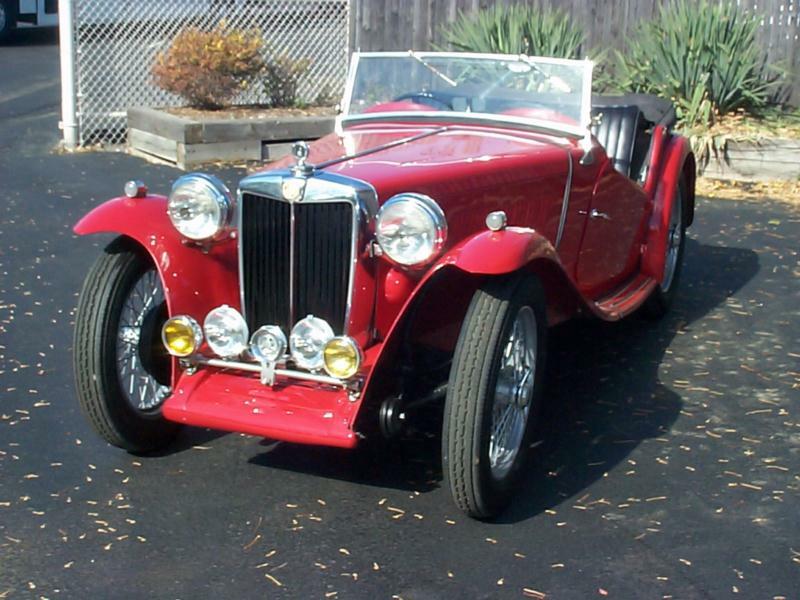 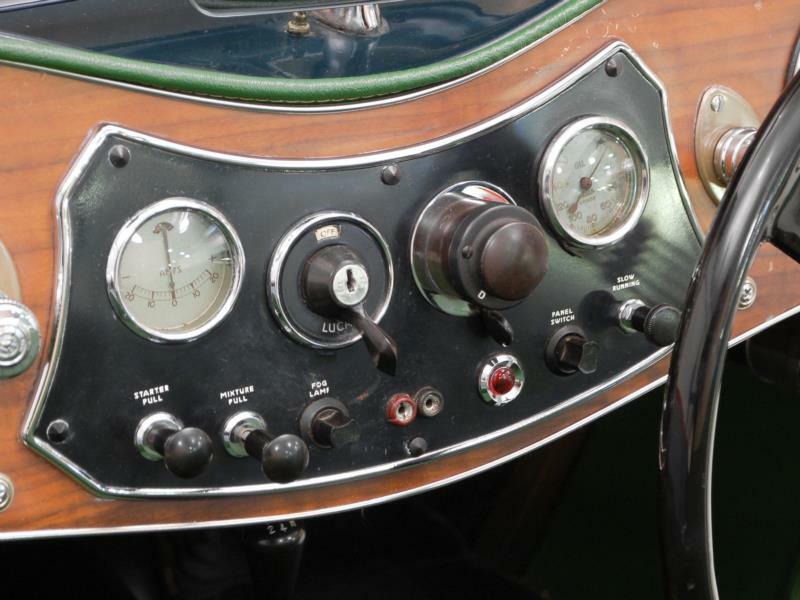 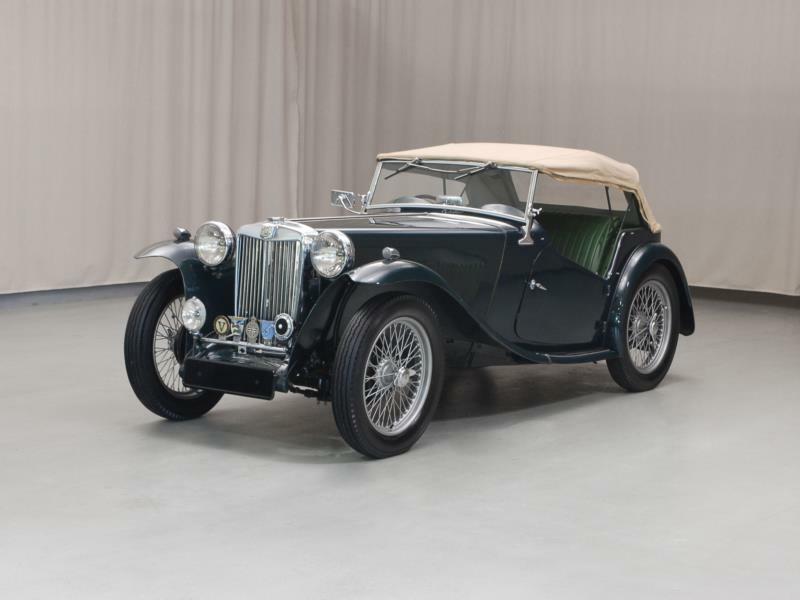 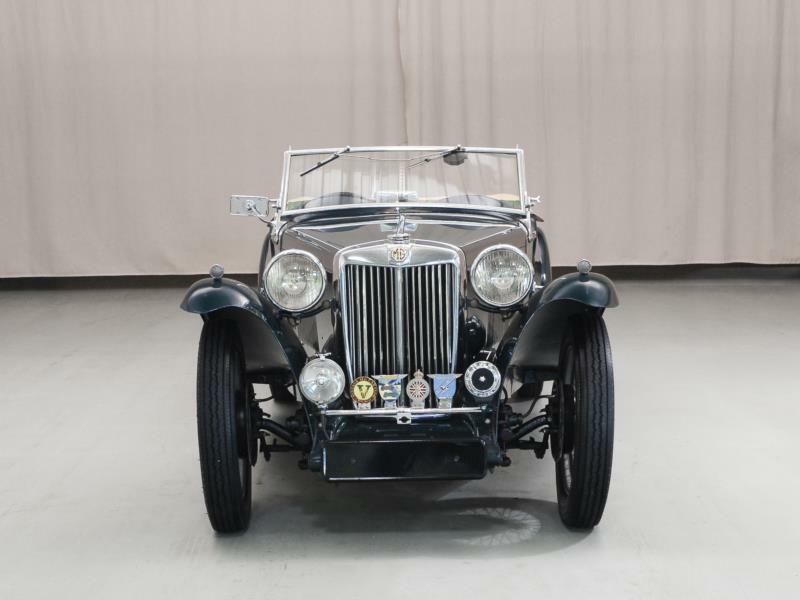 In all, the MG TC offers a cheerful way to experience motoring as it was at the dawn of the post-war era. 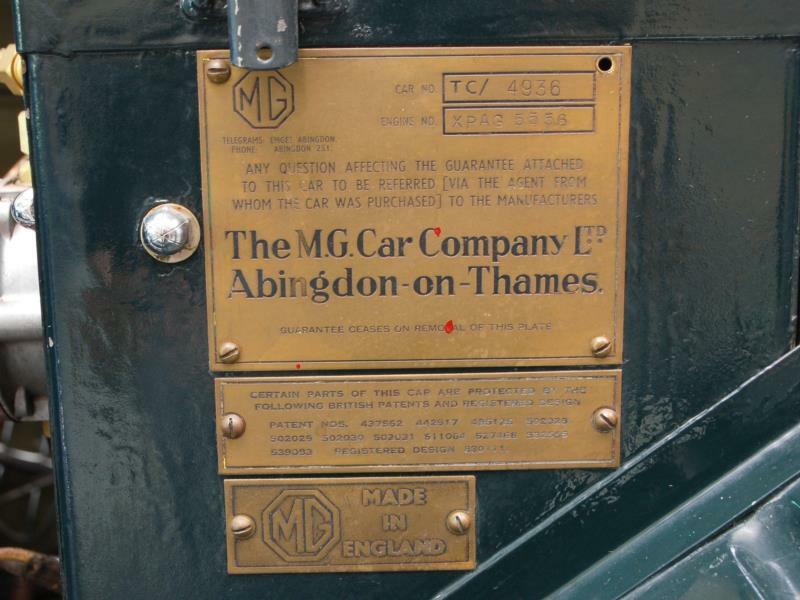 The T-Series MGs are fairly robust mechanically, though some engine and transmission parts are becoming more difficult to find. 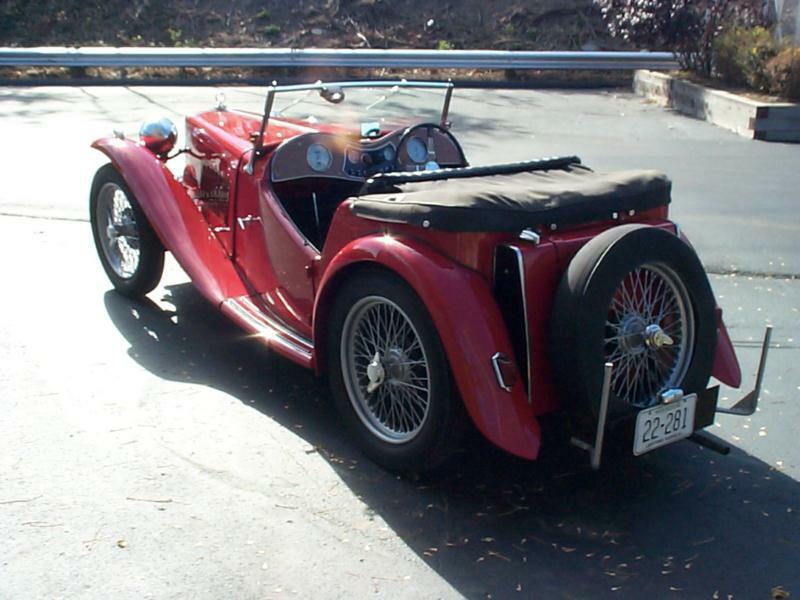 Keep in mind that T-Series cars were designed for weekly maintenance, so make sure everything is properly greased and oiled before driving far.